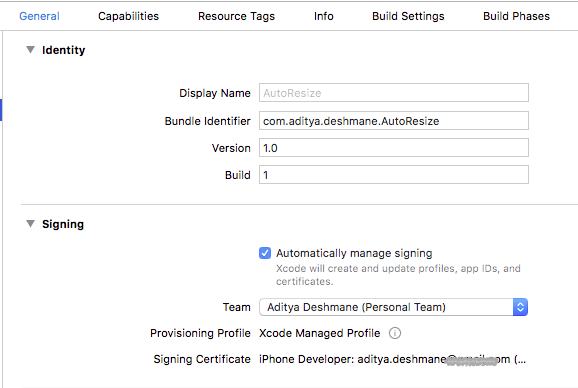 Would like to know about the new feature Free Provisioning introduced in iOS9 & Xcode 7. How Apple is now achieving that, as before we knew our device ids were enrolled in the profiles and hence it was possible to deploy the app on devices. Now only with Apple ID how the things in the background are achieved, also is there any restrictions on how many number of devices I can add my build with Free Provisioning. As stated in above link under Launch Your App on Devices Using Free Provisioning point 6. "Xcode creates a free provisioning profile for you"
Update: Above point 6 is removed from link, but there is no change in the way it works and steps in above link still work! Profile created in this way is tied to your apple id, when you try to run app on new device that device's UDID gets added in this profile. 2. How to use free provisioning? 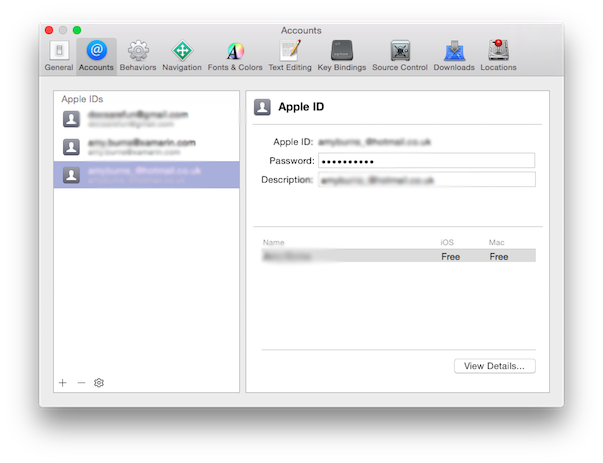 Go to Accounts tab and hit plus "+" button on bottom left to add your Apple ID. Click the Create button next to "iOS Development"
Connect your device and select your device as build destination. c. If using XCode 7, hit Fix Issue button below provisioning profile warning. If using XCode 8, there is no Fix Issue button XCode will automatically do this. In both cases of XCode versions, Xcode will either create new profile if not found for your apple id or add new device to your existing profile. Run the app, this will install app. Click app icon to start app manually, you will get "Untrusted Developer" dialog. To trust your apple id, Go to iPhone setting > General > Device Management > Select your apple id and click trust. After step 8 you can run and debug app using free provisioning. Expires in 7 days (this was changed sometime in May, previously it was 90 days). Under <key>ProvisionedDevices</key> there is list of devices on which I tried to install app, still unknown maximum number of devices possible, I tried to install on 3 devices which worked successfully. This is not alternative to publishing app for free on app store, you still need to enroll to developer program to publish apps. Testflight based internal / External testing is not possible. Apple haven't disclosed the thing like, how they are managing on their developer portal. But I think they just removed the restriction of Paid Developer program & rest of the thing kept as it is. For standard developer Program Apple support 100 device so I think same will apply here. Refer this link for more info..
Apple has imposed a number of limitations on when and how you can use free provisioning to run your application on an iOS device, ensuring that you can only deploy to your device. These are listed in this section. Access to iTunes Connect is also limited and therefore services such as publishing to the App Store and TestFlight are unavailable to developers provisioning their applications freely. 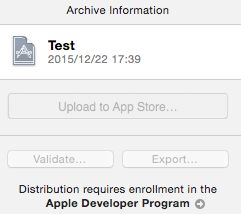 An Apple Developer Account (Enterprise or Personal) is required to distribute via Ad Hoc and In-House means. Provisioning Profiles created in this way will expire after three months, Signing Identities after one year. 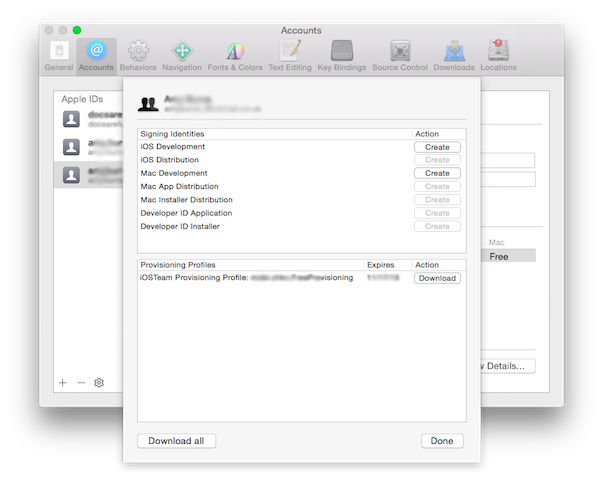 Furthermore, provisioning profiles will only be created with explicit App IDs and so you will need to follow the instructions above for every app that you wish to install. You can archive app with free provisioning profile. But You can't export ipa in "XCode 7"
But you can use XCode 5 or Command line "xcodebuild" to export ipa file. I tried using OTA to install this ipa file. And it's work! So... If there has a way to add UUID to your account without XCode (REST api calls). You can distribute your app to anyone you want. Not the answer you're looking for? Browse other questions tagged ios xcode7 ios9 or ask your own question. How to run apps on Real devices using Xcode 8 without enrolling to Apple's Developer Program? Xcode7 beta no provisioning is it right? Do I need Apple developer program to use Firebase? Is there a way to add a device to a provisioning profile without using Apple developer portal?